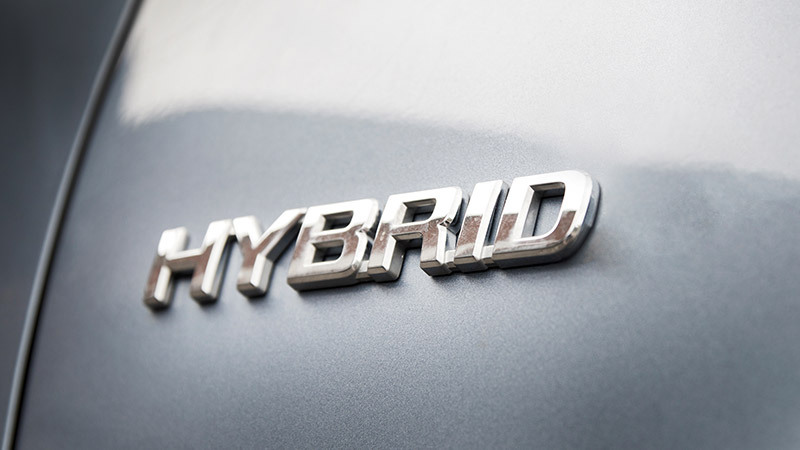 In the automotive field, ‘hybrid’ simply means that there are two or more power sources in the drivetrain. This usually means an internal combustion engine (ICE) is paired with an electric motor (and a high-voltage battery). The power sources – the ICE and electric motor – will work separately or together depending on the type of hybrid you own, and there are some obvious advantages to owning a vehicle powered by such a system. The fuel economy is excellent and being powered, at least in part, by a battery and electric motor means emissions are reduced – good news for your wallet and the planet. It’s worth noting too that regular hybrid vehicles, while they do have batteries and electric motors, do not need charging in the manner of a pure electric vehicle (EV). That work – the recharging of the battery – is done by the vehicles ICE and a motor generator. WHAT TYPES OF HYBRID SYSTEMS ARE THERE? Series Hybrid: Sole propulsion is delivered by the battery powering an electric motor. The ICE is used as a generator that charges the high-voltage battery. The ICE never powers the vehicle directly. Parallel Hybrid: In this design the high-voltage battery and ICE are both connected to the transmission. It can be powered by the ICE on its own or by the electric motor or by a combination of both. In this design, the electric motor helps the ICE, which can consequently be of smaller capacity. Series-Parallel Hybrid: These vehicles can operate via the electric motor on its own or with assistance of the ICE when extra power is needed. Examples of series-parallel hybrid vehicles include Toyota’s Prius and Camry hybrid. Plug-in hybrid vehicles (PHEV): These have an ICE, which helps to charge the battery by regeneration when slowing down or braking. The battery is, however, mainly charged by external means – in other words, it has to be ‘plugged in’. Extended range vehicles (EREV): These vehicles have a small ICE that acts as a generator for the high-voltage battery. They are more like a pure electric vehicle but with shorter range, and they also have to be plugged into for a full recharge. The most common hybrid on the road is the Prius which first entered the spotlight when it was launched in Japan in 1997. It uses an ICE and a high-voltage battery to drive the vehicle. The fuel efficiency of a hybrid does depend on where you live and how you drive the vehicle. If you live in a hot climate, the battery will not last as long as if you were in a cooler area of the country. However, both hot and cold climate extremes will impact the efficiency and range of battery. Like any vehicle - be it petrol-powered, all-electric, or hybrid – the heavier of foot you are, the less fuel efficient is the vehicle. So, if you accelerate hard and are regenerating a lot, a hybrid’s much-touted fuel economy will lessen. You can, however, expect fuel saving ranging from 8 per cent to 15 per cent for small Micro and Mild hybrid (where the electric motor is not used on its own for power), while Medium and Full (combination of ICE and battery power) hybrids should see savings ranging from 20-50 per cent. What hybrid models are available in Australia? Toyota: Prius, Prius C (Yarus) Prius V station wagon, Corolla, Camry VH71 series, RAV4. Keep your eyes peeled - there will be a lot more hybrids and electric vehicles appearing on the forecourts of dealerships soon. If you own one of these vehicles, you can get instant, fixed price quotes from local mechanics for your servicing and repair costs on AutoGuru. Paul has been working in the automotive industry for 50 years and since 2004 has been training apprentices and students across Queensland in the dark arts of the auto-electrical trade and hybrid/electrical power sources and systems. Search and Book Local Mechanics.